14 prizes to be won! There’s being fit, and there’s being fit enough to take on the challenge of a Tough Mudder! Now Britain’s favourite protein recovery drink, For Goodness Shakes, is going to let you really push yourself physically, read on to find out how. Maybe you go to the gym regularly, or enjoy a regular run, or dance or spin or boxercise, or maybe you do all of the above to keep things fresh and interesting. And they’re all great for getting the heart pumping, the endorphins jumping and helping you get or stay in shape. But if you really want to see how fit and strong you are, there’s only one test – Tough Mudder! 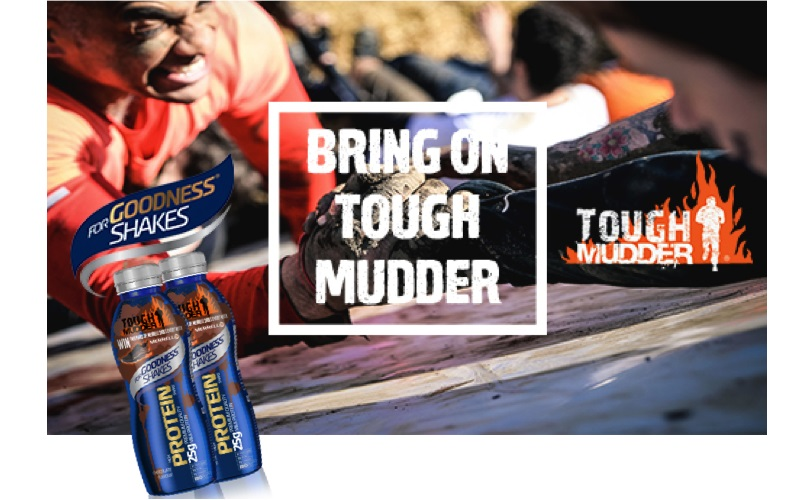 Cosmo has teamed up with Tough Mudder sponsor For Goodness Shakes to offer you the chance to win FOUR free tickets to a Tough Mudder of your choice this year (there are 19 spread across the UK, happening between April & September) and a whole load of For Goodness Shakes drinks to see you start and finish the race as strongly as possible.